Summary: Written in 1936 and still used as an essential reference today. Book Review. The premise of Dr. Norman W. Walker in writing Fresh Vegetable & Fruit Juices is that the primary cause of nearly every sickness and disease is the deficiency of vital organic minerals, vitamins, and enzymes in our diet. Then, Dr. Walker asks, “How can we most readily furnish our body with the elements needed?” The answer is the book’s title itself, Fresh Vegetable & Fruit Juices, and you may find it incredible what was known by Dr. Walker as early as 1936, when this book was written. The fact that Dr. Walker lived to be 119 and wrote his last book at age 115 may be considered as evidence that he knew his subject matter pretty well. 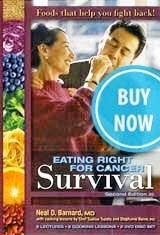 He was seriously ill in his early 50s when he was convinced to go the natural health route. He went on to practically invent carrot juice and the concept of healing with fresh vegetable juices. Except for accidents, all the repair and regeneration of our body must come from within,” Dr. Walker writes. “If the blood stream, cells and tissues, organs, glands and all the rest of the body does not contain these elements in their proper proportion, or if any of these elements is deficient, then the body is out of balance and the condition develops which is known as Toxemia, and Toxemia means just plain poison. In order to regain and maintain the proper balance of health, most of the food we eat must contain live, vital, organic elements. These elements are found in fresh-raw vegetables, fruits, nuts and seeds. Earth and its waters are full of minerals, but the only source we have of organic minerals and organic water that our body can assimilate is plant life. “The rays of the sun send billions of atoms into plant life, activating the enzymes and by this force the change inorganic elements into organic or life-containing elements for food,” Dr. Walker writes. The advantage in juicing vegetables is that this process separates the living, vital, organic minerals and vitamins from the fiber (pulp). With the fiber removed our body can assimilate these vital nutrients in liquid form in about 10 to 15 minutes, Dr. Walker writes. Fiber has no nutritional content, requires several hours–and considerable energy–for digestion, and some deterioration of nutrients occurs before food reaches our cells. There is not a drug in the world that will supply the blood stream with anything in a way in which the body can use it for permanent repair or re-generation. Dr. Walker advises, “Just as long as we include a variety of vegetables in our food combinations, we need not fret or worry about obtaining all the minerals and Vitamins we are trying to furnish our body.” Nonetheless, Fresh Vegetable & Fruit Juices offers an exhaustive listing of fruit and vegetable juices, detailing the specific amounts of 21 different elements, vitamins, and minerals contained by each fruit and vegetable. 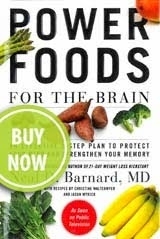 The book also includes a list of 87 different juice formulas, and in cooperation with Dr. R.D. Pope, M.D., Dr. Walker (A Doctor of Science) lists 155 ailments, with one or more of the 87 juice formulas recommended for the treatment of each ailment. Because of its high calcium content, carrot juice is valuable in the improvement and maintenance of bones and teeth. “One pint of carrot juice, daily, has more constructive body value that 25 pounds of calcium tablets," he notes. Like all minerals, calcium must be in an organic (living) form to be assimiable by our body. He warns that a calcium deficiency can result from drinking pasteurized cow’s milk, and that this form of calcium “is just as inorganic as that used in making cement.” It can’t be used by the body, and ends up forming kidney stones, gallstones, hemorrhoids, and tumors, he warns. Agriculture uses 100 times more chemicals and poisons in food production than it did in 1936, so fruit and vegetables should be organically grown to be wholesome. 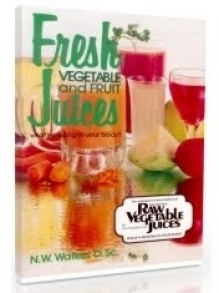 Get your copy of Fresh Vegetable & Fruit Juices today!